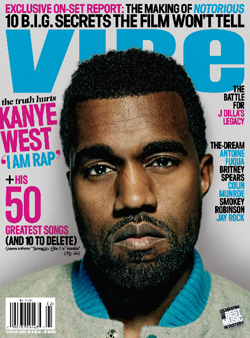 Vibe Magazine Rising from the Ashes? Music magazine Vibe, which closed it’s doors back in June after funding and advertising money dried up, maybe getting a second chance at life. InterMedia Partners, the company behind Uptown magazine, has stepped in with plans to relaunch the publication later this year. According to The Wall Street Journal, InterMedia plans to put more focus on Vibe.com, with the magazine moving from a monthly run to quarterly. Quincy Jones, who founded the publication in 1993, had stated that he wanted to re-purchase the rights to the magazine from its previous owners, Wicks Group, after they were forced to abruptly fold the publication on June 30 because of the company huge debt. Jones sold Vibe to Wicks Group in 2006.